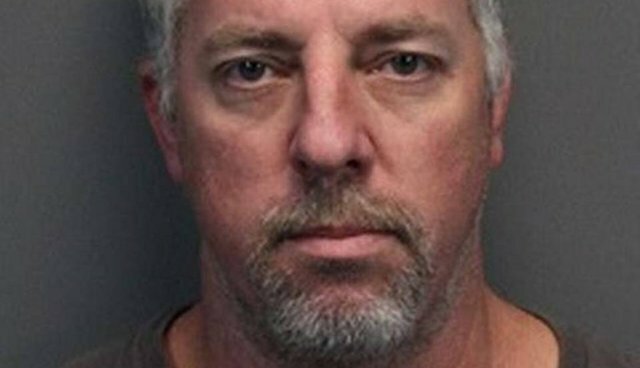 A Sacramento, California man accused of drowning an elderly dog with a bowling ball has been arrested in Reno, Nevada, after months of being on the lam. The Sacramento Bee reported Wednesday that 47-year-old William Meek was apprehended after authorities tracked the man to a Reno Best Value Inn via an anonymous tip. Meek is believed to be responsible for the drowning of a 12-year old border collie named Zelda, whose body was discovered floating in the American River on June 16. Her leash was attached to her collar and then tied to a bag containing a bowling ball and a large rock. A necropsy revealed that Zelda had been alive upon entering the water, and suffered neck trauma trying to free herself before drowning. The canine's microchip allowed authorities and the city animal shelter to track down Meek's girlfriend, who told officers she had asked Meek to surrender the dog to a local animal shelter for biting someone. Clearly, neither man nor dog made it to the shelter, and the suspect- who has a record of methamphetamine use and resisting arrest- vanished before a scheduled court appearance on September 25th, for an unrelated drug charge. "There's something terribly wrong with someone who would do that," said Sacremento's animal care manager Gina Knepp. "I can't wait until he comes back to Sacramento. Let's see what a jury does with him."